Replay NowTM aims to bring a timeless series of classic games to a whole new generation of players and hardware. Experience the dangers of KnightShiftTM, the depth of Jagged Alliance 2TM and the fast paced action of Heli HeroesTM on almost any operating system, from Windows ME to Windows 7. KnightShiftTM transports the player to a faraway land, full of dangers and myth. 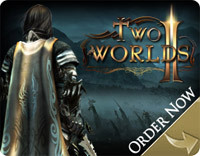 The unique combination of RPG and Strategy elements will provide the player with countless hours of entertainment. In Jagged Alliance 2TM players finds themselves fighting alongside mercenaries to free the state from the evil Deidranna in this epic turn based strategy. Heli HeroesTM switches things up with fast paced driving action and a huge fan base. Many more hit titles are planned to release in the Replay NowTM series and are localized in many different languages. Included with the package are the original box art and voiceovers. Don’t let compatibility issues stop you from enjoying the gaming-classics, Replay NowTM!